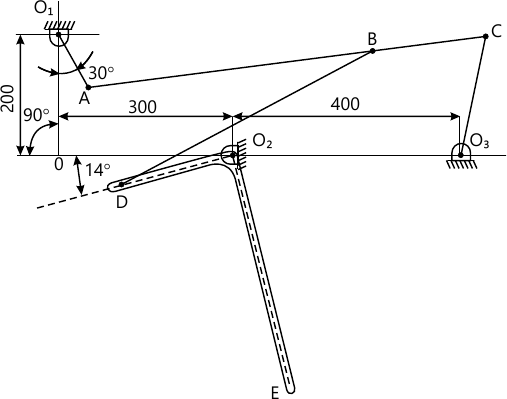 ii) Hence, or otherwise, draw the polar diagram representing angular velocities of driving and shafts indicating the various angular positions calculated above. (6 marks) 4 (b) The following data refers to a laboratory experiment with rope break. 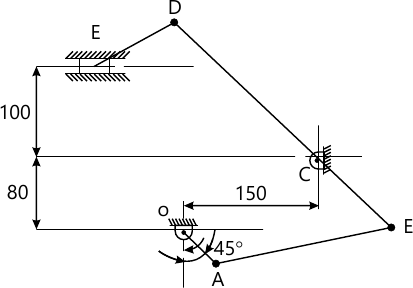 Diameter of the flywheel = 1m, Diameter of rope = 12 mm, Dead weight on the brake = 55 kg, Speed of the engine = 200 rpm, Spring balance reading = 130 N.
5 (a) In the mechanism shown in Fig. 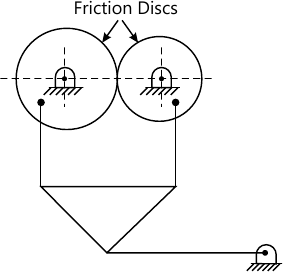 2, the crank O1A rotates with uniform speed of 100 rad/sec in clockwise direction. Draw the mechanism and find out the length BD. 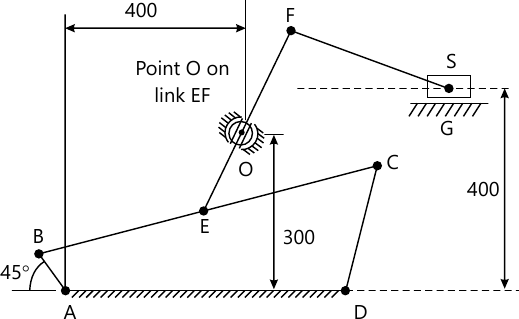 Find the position of instantaneous centre between crank O1A and the bell crank lever DO2E. Hence or otherwise, find the velocity of the point D.
i) When the crank rotates at a uniform speed of 240 rpm clockwise.